The mutant spawn of Flappy Bird and 2048 will crush us all. Here at the Daily Dot, we’re not afraid to take on a challenge. We came, swiped, and ultimately conquered 2048. We stared into the abyss that was Flappy Bird, and its infinite clones stared back at us. But the lethally addictive combination of Flappy Bird and 2048 might just be our undoing. Flappy 2048 involves matching numbers in mid-air until you hit the big one. It’s an instantly intriguing challenge that makes us much happier than the inverse kind of combination, which we assume would involve, uh, matching birds. While the animation is a little jittery, it’s a fun, if rather easy, challenge. 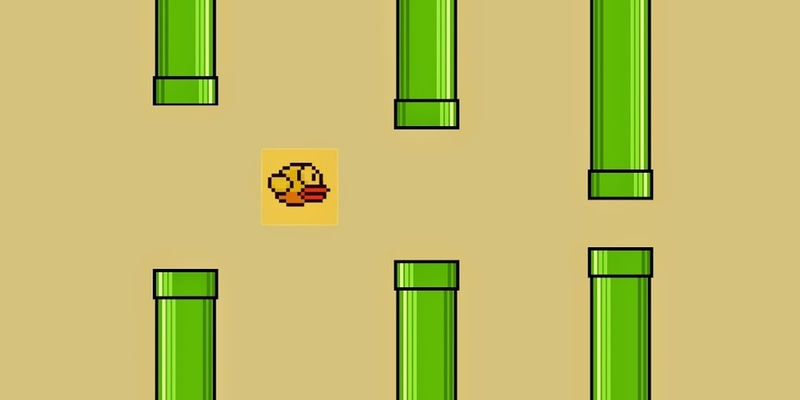 And it has the annoying flappy sound effects of the original Flappy Bird, for anyone who missed them. Another version of the game is Flappy48. It comes to us from Canadian computer student Daniel Moran. Moran frequently builds games and shares them on his website, and notes that he made his newest one not for any assignment or project but as a simple tribute to both games. Playing Moran’s version of Flappy48 requires downloading the Unity 3D webplayer plugin (Linux users, here’s how to do that courtesy of Reddit’s r/gaming). Once installed, the user is rewarded with what might be the most frustrating take on Flappy Bird we’ve seen yet. As you can see, the goal in Flappy48 is also to match numbers; but the numbers themselves are part of the challenge. Not only do the game’s deceptively smooth mechanics make it a little harder to sail between columns, but you have to keep multiple blocks in the air. And don’t even think about simply flying under the numbers until you hit one that matches. Try it and you’ll just keep running into threes and fours until you crack or crash. We’d echo this sentiment, but we’re too busy trying to get a score. Any score, really. We’re desperate. Oh, for the love of %#*@.